Now that Fall is in full swing, I have been looking to update my makeup look with colors that amply reflect the season such as browns and oranges. 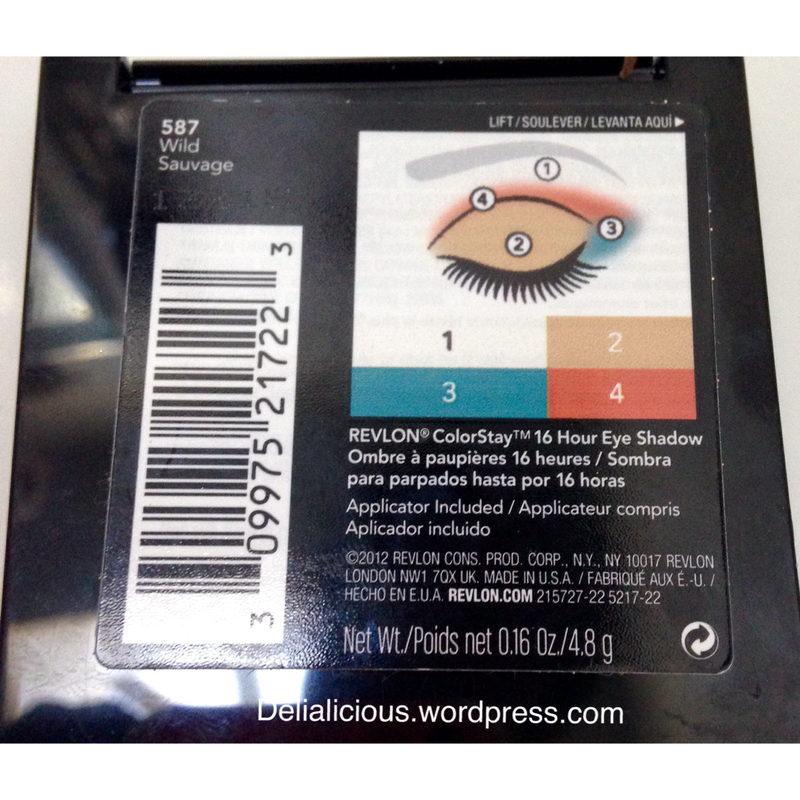 This weekend I tried Revlon ColorStay 16hr Eye Shadow in Wild. The eyeshadow pallet is part of Revlon’s exclusive Spring 2014 Rio Rush Collection by Gucci Westman, which actually only features two pallets: Wild (which I tested) and Exotic. The tropical hues in the limited edition collection were inspired by “Carnaval” in Rio de Janerio, Brazil. Although the colors were inspired by summer, I think the shades defiantly work well for the fall. The shimmery champagne and white base colors remind me of the holidays, the orange conjures thoughts of fall leaves, and the deep teal evokes a cold, winter night. The white and champagne colors are very dry, and require several quotes to bring out the full hue, which in my opinion, still needs to be intensified with a deeper shade, perhaps of brown, at the base. However, the orange and teal are nothing short of magnificent. The vibrant colors are very pigmented and are perfect for blending. I started followed the steps outlined behind the back of the packaging to get the look pictured at the top of this article. But, once I saw how nicely the colors came together I felt comfortable adding my own flair by using the white on the inner corners of the eyes and center of the lids for a bright-eyed look. Do you think it looks like a good fall eye shadow palette, or should it be kept in the summer box?